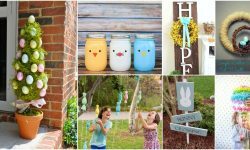 I love adding new Easter decorations to my collection every year. This year, I wanted something a bit different, and maybe something that would cater to my love for DIY farmhouse décor. These glitter Easter eggs definitely do that. The twine gives them such a great rustic look, and they look gorgeous in a wooden bowl on my dining room table. How Hard Are Glitter Easter Eggs To Make? 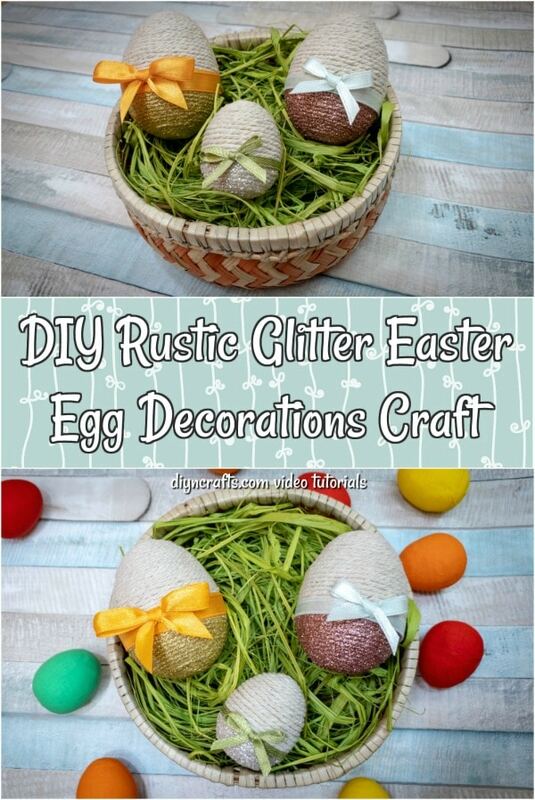 How Do You Adhere Glitter To The Eggs? 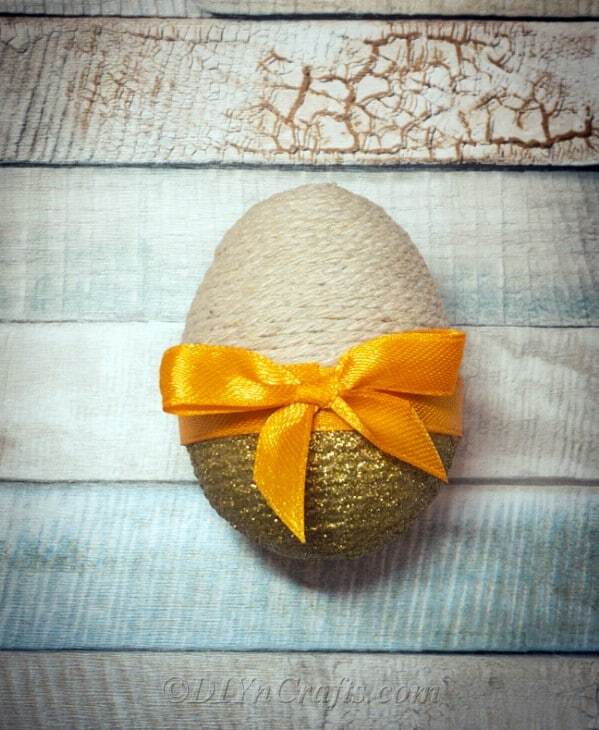 Can You Use Real Eggs For These Glitter Easter Eggs? 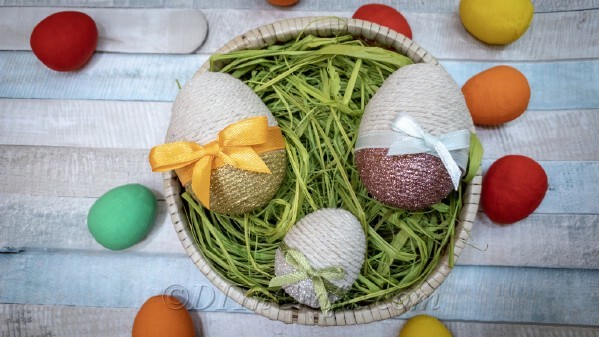 How Will You Use These DIY Glitter Easter Egg Decorations? 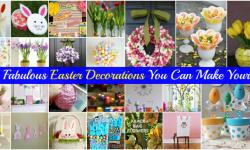 These are actually really simple DIY Easter decorations for you to make. 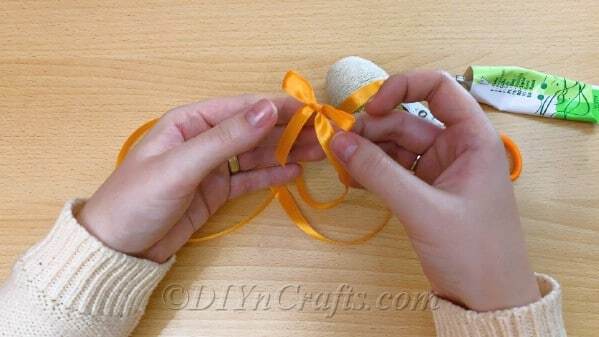 As long as you remember to glue the twine down while you work, the rest is straightforward. 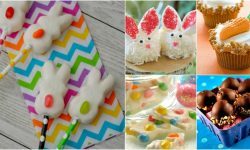 Foam eggs are really easy to work with, and they are perfect for this project. 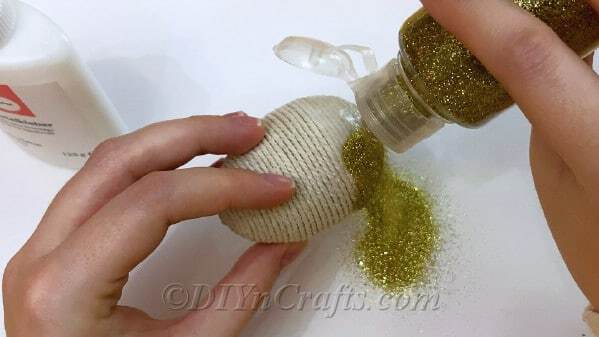 To make glitter stick to the eggs, you will add some glue and you can either put the glue directly on the foam egg or cover the entire egg in twine first and glue the glitter to that. I don’t actually recommend that you use real eggs unless you are confident that you want to throw them out. 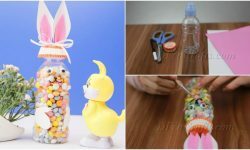 This isn’t a way to decorate eggs for egg hunts but a permanent Easter decoration that you can make with foam eggs and use year after year. 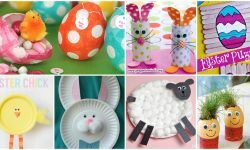 You could, however, do this with wooden or plastic eggs if you want. 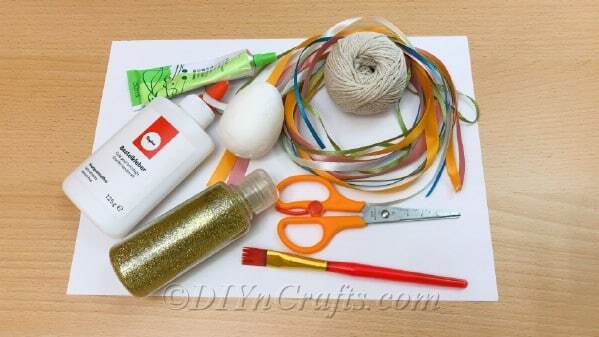 Start by gathering your craft supplies. 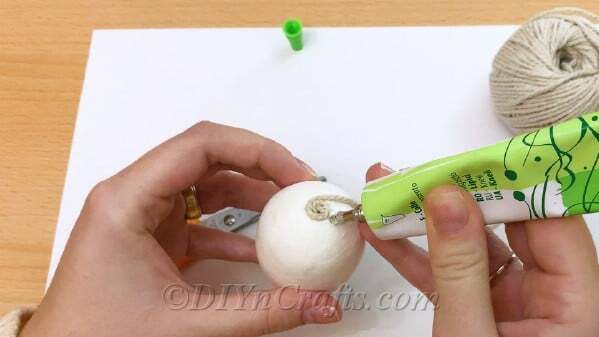 Put a drop of glue onto the bottom of a foam egg. 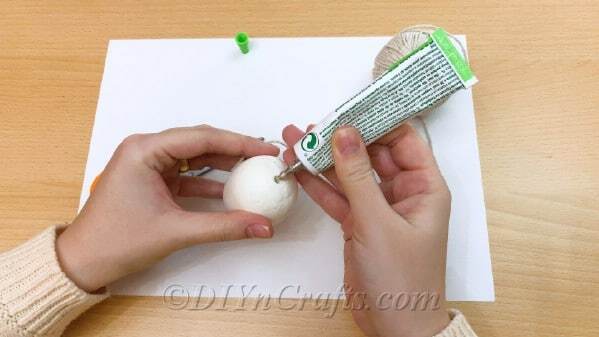 Push twine into the glue so that it sticks to the egg. 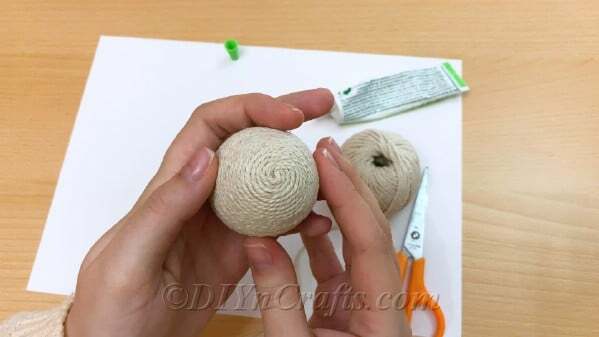 Begin twisting twine around the foam egg, making sure to glue it down as you go. 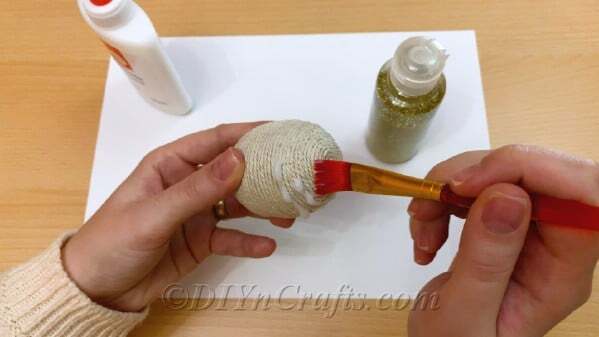 Once you have finished covering the egg in twine, brush glue onto the bottom half of the egg. Add glitter to the glued area and allow to set. 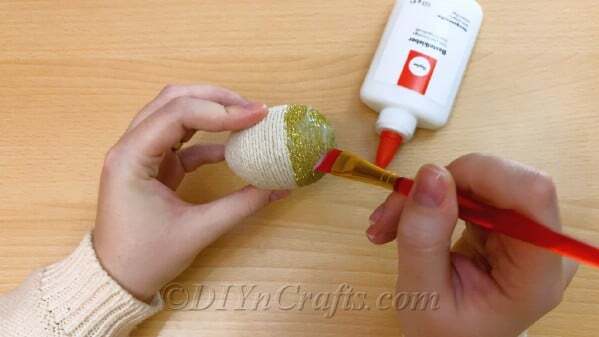 Cover the glitter with glue again to avoid having glitter everywhere. 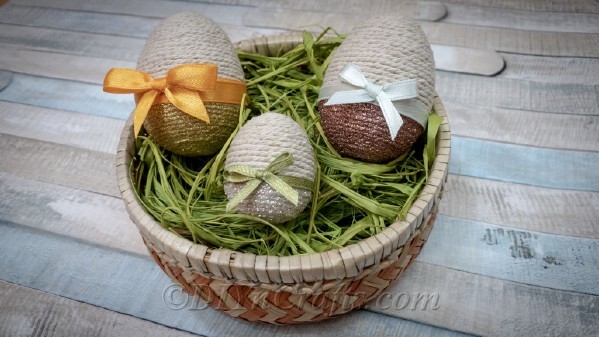 Add ribbon, pearls or other decorations around the center of the egg – use this to separate the twine half from the glitter half for a really decorative look. 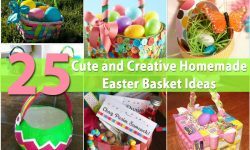 Add to baskets or buckets for a rustic DIY Easter decoration!